This is a special service designed for full day trip to Leh for local city uses. You may avail this service online or drop into one of our branch offices any time. The Local Full Day service is best suitable for local trips including sightseeing, shopping, attending meetings, seminars, visiting hospitals, and a lot more. This is a mini package for local city tour usages offered as half day car hire services. These include Airport Transfer in Leh, Car rental service for Marriage, party and event, Corporate Cab Rental in Leh, Railway Transfer, visiting hospitals and a lot more. The pickup and drop facility from one destination to the other is offered as per your choice and budget. 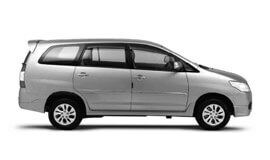 Airport pickups and drops, hotels pickups and drops, railway station pickups and drops, and bus stand pickups and drops are some of the services offered here. In case, you have been looking forward to highly advanced outstation travel packages for Leh, My Taxi India is just the right place to be in. Book the outstation travel package one for trip with friends, weekend getaways, excursions, and family leisure trip outside the city limits. We will take special care of your interests and requirements prior to arranging for a package. This is a typical to and fro service. This is useful for those who wish to make to and fro trip to Leh. The service is available for multiple destinations from Leh. This service is designed specifically for visitors to Leh to provide one way drop to desired destinations from Leh. This package is highly useful for you if you plan to visiting more than one city within a fixed period of time. Customized car packages are designed by our tour expert team. Apart from the above mentioned packages, we also offer special Leh city sightseeing tours and any other customized cab rental packages. We guarantee the best car rental services in Leh at highly affordable prices. Leh enjoys a cold desert climate. It experiences long, harsh winters from the months of October to early March. The minimum temperatures fall below freezing for most of the winter. The city also gets sporadic snowfall during winter. The weather in winter is warm during day. As per official census report for the year 2011, Leh District has a population of 133487 residents. Tourism is the major source of economy in Leh. Leh is often referred to as the heart of the Leh district and capital of Ladakh, situated in the state of Jammu and Kashmir, India. The place is central for tourism and known widely for some of the most exquisite locales in India. Some of the worth visiting places here include former Palace of the King of Ladakh, attractive Old Town, Namgyal Tsemo Gompa, Soma Gompa, Karma Dupgyud Choeling, the small mosque, Shanti Stupa, Pangong Tso, Chang-la pass, Yak Safari camp, monasteries in Ladakh, War Museum (War Museum, Leh), Donkey Sanctuary (Home for helpless donkeys), Magnetic hill, Pangong Lake, Tsomoriri Lake, Khardongla, Hunder Valley, Alchi Monastery, Sand Dunes Nubra, Siachen Glacier, Ti-suru, and Khardungla Pass.